In English – We Up! WeUp! is a multi-art project for and with young people (15–29 v.) in collaboration with KAAOS. We organize pop up -activity and workshops during autumn 2018 based on the wishes of the participant youth. 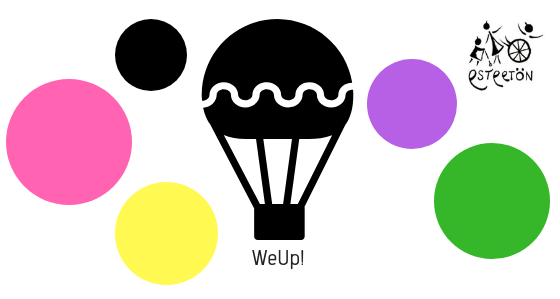 We are looking forward to hearing YOUR ideas on WeUp! – what would you like WeUp! to be? All are welcome to join! You can find us on Facebook and Instagram: #esteetonry #weupoulu #popupelämää or contact us directly. Esteetön ry is a community of culture, wellness and art for everyone in Oulu, Finland. More information in English upcoming! Stay tuned!